A frequently asked question, TripAdvisor is pre-installed on cheap China mobile phones and is often classified as a Trojan or virus from a Virus-Scanner! The TripAdvisor is a rating portal for travel and co. If you have it on your phone and can not uninstall it really annoying. It's like so many other tools, it sends data from your phone since you during the installation of the tripadvisor this so agrees. But do indeed 50% of other mobile APP-s! Right annoying when you can not remove because it was pre-installed. For this purpose are Root Admin rights are required to get rid of it from your phone. And it requires advanced knowledge for PC and Android OS. (Image-1) TripAdvisor smart phone virus! 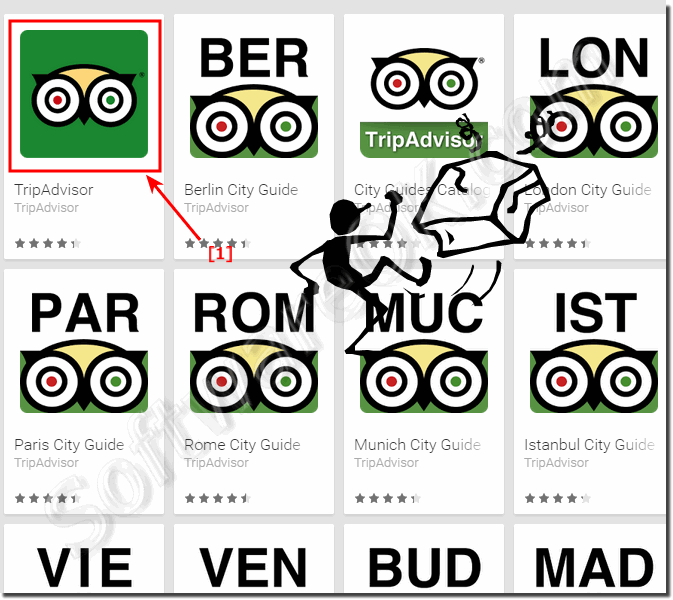 Internet-WWW - FAQ-14: What makes TripAdvisor on my smart phone is it a virus?